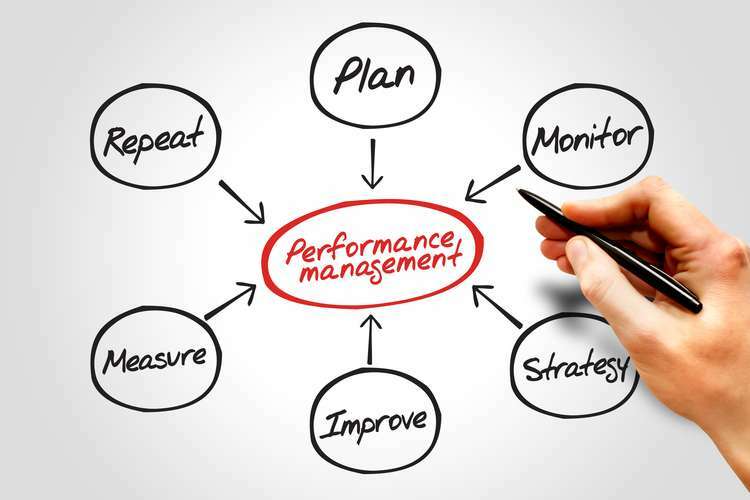 The performance management system is an effective and unique part of each and every company that helps in analyzing and determining the performance and productivity of the employees. The main motive of this task is to discuss about the performance management system of Aussie healthy foods which is located in Melbourne, Australia. The company had decided to redesign the performance management system in the competitive marketing communication. Although, this system will provide ample of advantages to the company but it also dissatisfied the employees. The paper discusses that how new performance management system will help in resolving and managing the performance and outcomes of the workers. Some of the theories related to performance management have been discussed in the task. At the end, two practical solutions for recreating the performance management system also briefly have been elaborated in the task. Aussie healthy foods provides the latest in organic, health food and gluten free products to the customers across the world. It offers prices at reasonable prices to the target audience in Australia. In 2016, an effective and dynamic decision was taken to redesign the performance management system of Aussie healthy foods. This is done to evaluate and analyze the performance and productivity of the employees in a hassle free manner. In this new system, performance review or feedback sessions were held in every month to gather insights from the managers, employees and closest colleagues in all offices and plants across Australia. But most of the employees were not satisfied with this new performance management system. It is noted they felt under pressure and demotivate to frequently explain their performance and productivity at the workplace. Thus, the employees said that they wanted to receive and give feedback and opinions less frequently. Aussie health food created and implemented this new system to evaluate and improve the performance and efficiency of the workers in the competitive market. It will further help to maximize and boost profitability and returns of the firm internationally. No company can survive and grow its business activities and operations without using performance management system. The performance management may be defined as management’s systematic application of process aimed at utilizing performance in an organization. There is close relationship between performance management system and motivational theories. The performance and effectiveness of the employees can be improved and enhanced by using motivational theories (Agarwal 2011). The company uses ample of performance management theories to detect and reduce ample of issues related to performance management. Some of the performance management theories have been detailed below. 1. Goal setting theory: The goal setting theory refers to various goals being established for the future time period for successive performance of the organization and individual as well. It is noted that goal setting theory helps in improving and enhancing the performance and productivity of the workers in the workplace. Goal setting would help in developing and improving action plan designed to assist and guide the people and organizations as well. It further helps in management literature and personal development. It is studied that there is a favorable relationship between goal setting and organizational outcomes. This is just because goal setting theory entails all attributes of developing organizations with effectiveness and efficiency. This theory further helps in gaining competitive benefits in the international market (Shaiza and Giri 2016). Thus, Aussie healthy food uses this theory to attain competitive benefits over the competitors in the international market. 2. Expectancy theory: This is one of the significant and effective theories used by Aussie healthy foods. This theory is propounded by Victor Vroom in 1964. Along with this, this theory is based on the hypothesis that people adjust their actions and behavior in the company on the basis of predicated satisfaction of valued and dynamic goals and objectives set by them. The people alter their action and behavior in such a way which is mainly leads them to achieve these goals and objectives. Expectancy theory explains the concept of performance management as it is believed that performance of the workers is affected by the expectations and demands concerning future events (Agarwal 2011). There are three variables of expectancy theory that includes valence, instrumentality and expectancy. By using this theory, Aussie healthy foods can increase and enhance rewards and incentives in the international market. By setting proper goals and objectives, this theory may generate a motivational approach that improves and enhances performance of the workers. Along with this, the company can attain desired goals and objectives with the help of expectancy theory. It is significant and fundamental theory that helps in motivating and promoting the workers towards the achievement of mission and vision in the competitive market (Nuttin 2014). 3. Social cognitive theory: One of the significant theories that initiated by Aussie healthy food is social cognitive theory. This theory is implemented in the organization to augment and enhance the performance of the subordinates by motivating them effectively and efficiently. This theory refers that learning occurs in a social context with an effective and dynamic interaction of the behavior, person and environment. This theory empathizes that workers need to learn from the social environment (Schunk and Usher 2012). The top management and managers need to set long term objectives and goals and measure their goals and progress. In this way, Aussie healthy foods are able to resolve and manage the issues related to change and performance. This approach also helps in further satisfying the needs, desires and requirements of the employees Apart from this, the employees who are not satisfied with new performance management system, can easily adopt this theory to improve performance and stand out against the rivalries in the international market (Schunk and Zimmerman 2012). To check and analyze the employee performance, the typical practice is to hold a performance review once a year. During these reviews, the workers measure and identify their own performance and productivity (Ferreira and Otley 2009). They also get evaluations and assessment in the form of numeric scores from their leaders and managers. A performance review and evaluation is mainly a single yearly conversation. No wonder it is meaningless, irrelevant and a waste of time. In today’s modern era, various performance management solutions are designed for leaders and HR managers only (Albrech 2011). The two solutions for Aussie healthy foods to provide support in redefining their performance management system are discussed below. 1. OKR management methodology: Objectives and key results (OKR) is a management methodology that was designed by John Doerr. The opinion of OKR is to interconnect the work of workers to the company’s strategic objectives and goals. Objective is a significant and ambitious goal that Aussie healthy foods want to achieve in the competitive market. Key results refer to the computable tasks or milestones that explain how a given worker can help to achieve the goals and objectives. It is essential to have a limited number of key results so workers do not feel overload (Armstrong 2009). This approach helps in evaluating and identifying the performance of the workers. Furthermore, it is also necessary to redefine the performance management system in Aussie healthy foods for improving and enhancing the effectiveness and efficiency of the workers (Hackernoon 2018). 2. 360 degree feedback: It is one of the crucial ways to receive feedback and reviews from their peers. Under this approach, the reviewers answer questions and can review historical opinion and feedback about reviewees. The reviews can be collected in any form such as praises, check ins, one on one conversation and other forms of feedback (Hackernoon 2018). In this way, Aussie healthy foods can redefine the performance management system for improving and analyzing the performance and efficiency. Such kind of approach is also used by Deloittee, Cargill and Google company to boost and uplift the profitability and outcomes in the international market (Duggan 2015). Aside this, top management needs to explain the benefits and merits of new performance management system to employees so that they can easily accept this system within the organization (Thorpe and Holloway 2008). Aussie healthy foods need to use unique and dynamic performance management system to make happy the employees and to attain desired objectives. Effective and dynamic performance management system would be helpful in measuring, identifying and developing the performance of the workers and aligning effectiveness with the desired strategic objectives and goals of Aussie healthy foods. The company needs to be considered five factors while designing the effective and dynamic performance management system (Aguinis 2013). The five factors of effective and unique performance management system have been discussed below. 1. Agarwal.A.2011, Models and theories of performance management system [Online]. Available from https://www.projectguru.in/publications/models-and-theories-of-performance-management-system/ [Accessed as on 30th September 2018]. 2. Aguinis, H., 2013, Performance management (Vol. 2). Boston, MA: Pearson. 3. Albrech, S.L., 2011, Handbook of employee engagement: Perspectives, issues, research and practice. Human Resource Management International Digest, 19(7). 4. Armstrong, M., 2009, Armstrong's handbook of performance management: an evidence-based guide to delivering high performance. Kogan Page Publishers. 5. Duggan.K.2015, Six companies that are redefining performance management [Online]. Available from https://www.fastcompany.com/3054547/six-companies-that-are-redefining-performance-management [Accessed as on 30th September 2018]. 6. Ferreira, A. and Otley, D., 2009, The design and use of performance management systems: An extended framework for analysis. Management accounting research, 20(4), pp.263-282. 7. Hackernoon.2018, How can you build a performance management system for the new era of employee engagement [Online]. Available from https://hackernoon.com/how-can-you-build-a-performance-management-system-for-the-new-era-of-employee-engagement-d6a5bb070ad7 [Accessed as on 30th September 2018]. 8. Nuttin, J., 2014, Future time perspective and motivation: Theory and research method. Psychology Press. 9. Schunk, D.H. and Usher, E.L., 2012, Social Work cognitive theory. APA educational psychology handbook, 1. 10. Schunk, D.H. and Zimmerman, B.J. eds., 2012, Motivation and self-regulated learning: Theory, research, and applications. Routledge. 11. Shaiza.P and Giri.I.2016, Goal setting theory of performance management system [Online]. Available from https://www.projectguru.in/publications/goal-setting-theory-performance-management-system/ [Accessed as on 30th September 2018]. 12. Thorpe, R. and Holloway, J. eds., 2008, Performance management: multidisciplinary perspectives. Springer.